Populist Botanist « John Bartram Lives! John speaks about his passionate desire to introduce children to the magic and mysteries of nature. As Ben noted, it is so much easier to be viewed as proficient or wise the second, third, even fourth or tenth time that I have to revisit a topic or a geographic location. At this time of my life, I can even be viewed as prescient on most of what I’ve been preaching for many of these 300 years. 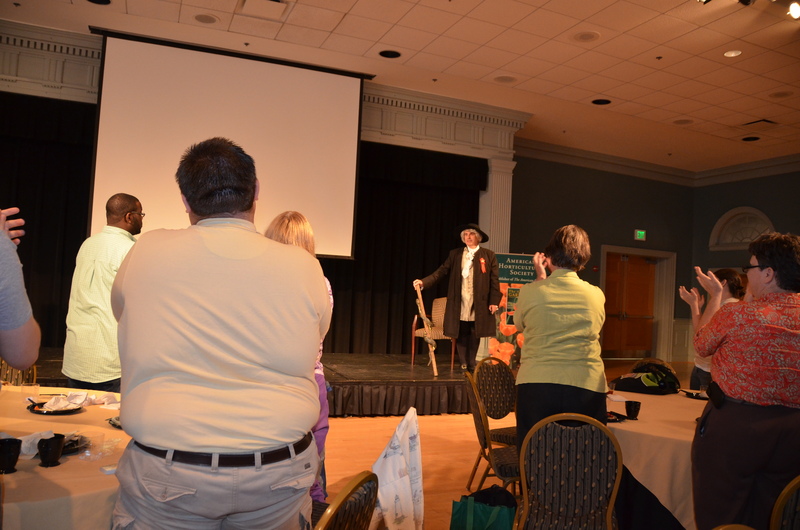 John Bartram is reviewed by his audience after his presentation for the Children and Gardening Symposium. 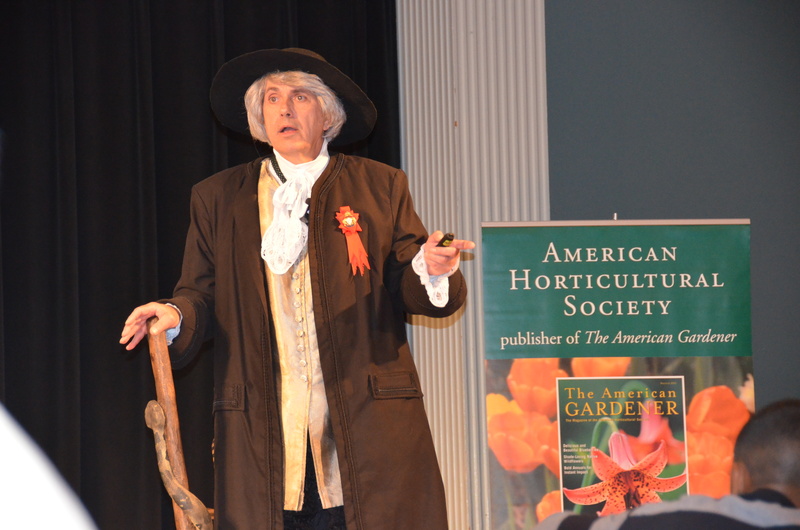 He was hosted at the University of Maryland by the American Horticultural Society. I love to travel. Even more, I love to be engaged with conversations struck up with perfect strangers. I love entering a roomful of expectant and attendant listeners and leave having entertained and been entertained by their curiosity. John Bartram returned to Annapolis MD this past summer. 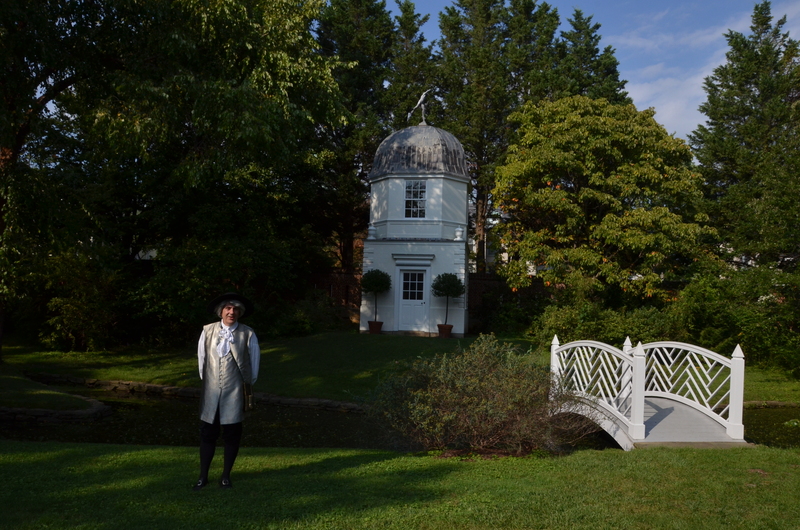 His lecture to the newly formed Annapolis Horticultural Society allowed him to visit the home of a former colleague and client, William Paca at his house and gardens. It is a wonder to me why I haven’t conceived of this conceit before now. My current life is manifested by curiosity enabled by passion wrapped in color and drowned by sheer force of nerve. Little else could survive the heat of the flame to which this chrysalis is held. John Bartram recognizes the winner of the Horticultural Illustration exhibit at the Scattergood Foundation’s celebration of 200 years. 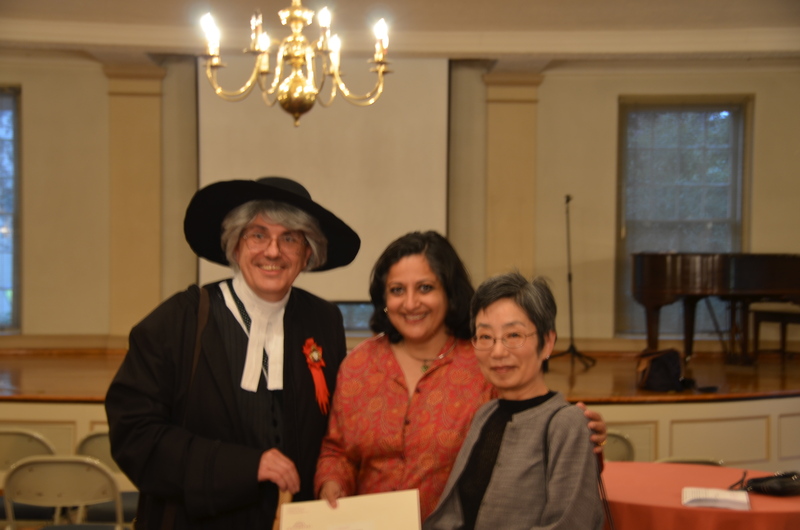 He is shown with Maitreyi Roy, newly named Executive Director of Bartram’s Garden.